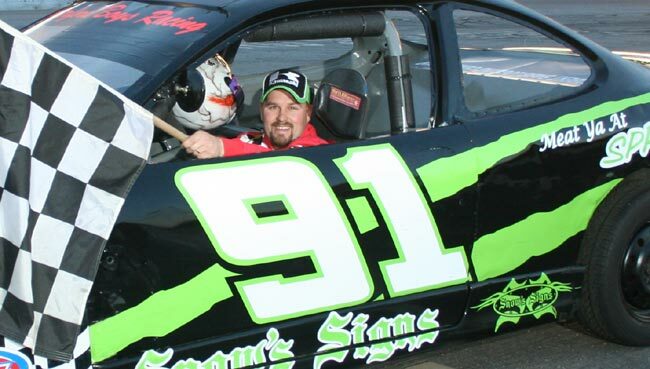 OXFORD, Maine - Eleven years had elapsed since Bill Sprague's only Oxford Plains Speedway feature win prior to Wednesday night. His next two victories unfolded in the space of less than an hour. 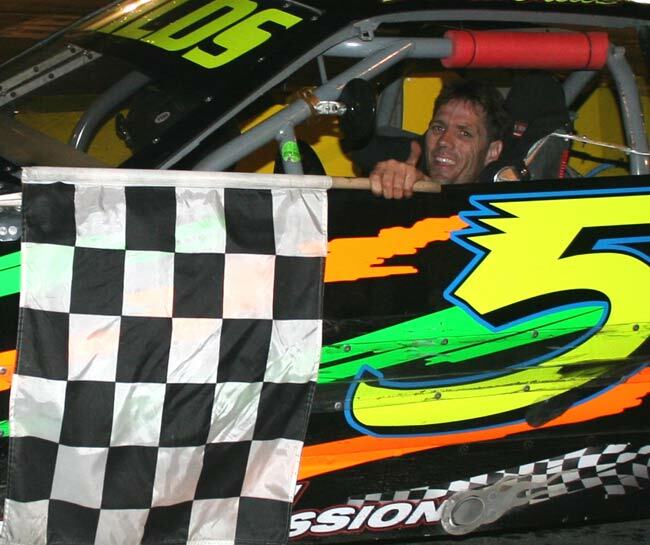 Sprague, who made his debut in the Oxford Acceleration Series less than a month ago, backed up his Chimney Tech Outlaw win early in the evening with a Macdonald Motors Runnin' Rebel triumph. "I called Jeff Hebert a few weeks ago and asked if I could use his (Rebel) car, because he wasn't driving it this year and I wanted to get some racing in," said Sprague. "And now he's back with another car." 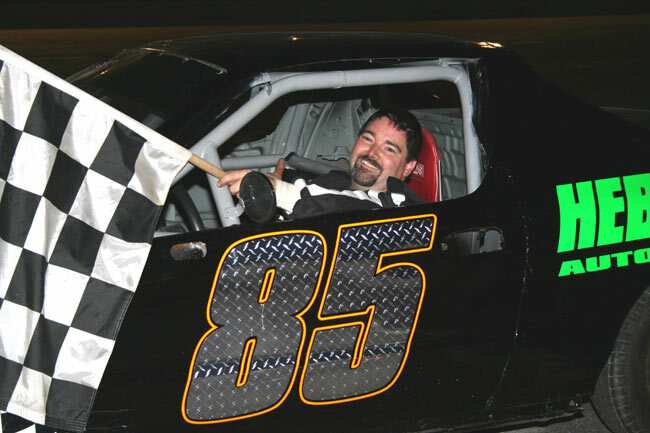 In addition to his hot streak in the #85 Rebel, including two previous runner-up finishes, Sprague has also been strong in the #65 Outlaw. Sprague's previous win at Oxford came in the Allen's Coffee Flavored Brandy Strictly Stock division in 1997. He also competed in the Limited Sportsman class. "Lucky for me, I was a given a chance to drive that car, also," Sprague said of the eight-cylinder ride. "This is awesome." Sprague snagged the lead from Caesar Morgan on lap 11 of the Outlaw encounter, then held off the spirited challenge of second-place Tom Averill and John Leonard in third. John Spencer Jr. and Chris Coolidge completed the top five. Jonah Farrington and Ryan Philbrick led the third of four Rebel features before Sprague seized command. Fast-closing John Childs applied the pressure over the closing circuits but settled for second. Philbrick held on for the third-place trophy. Brian Nason's dismissal at the technical inspection shack moved James Wood to fourth and Jay Dufour to fifth. Eleven features were contested Wednesday, including the final three make-up events from TD Banknorth 250 Weekend Presented By New England Dodge Dealers. Two of the held-over races were Rebel events, with another for the Call of the Wild RV Sport Trucks. Three drivers clinched division championships with a week to spare. 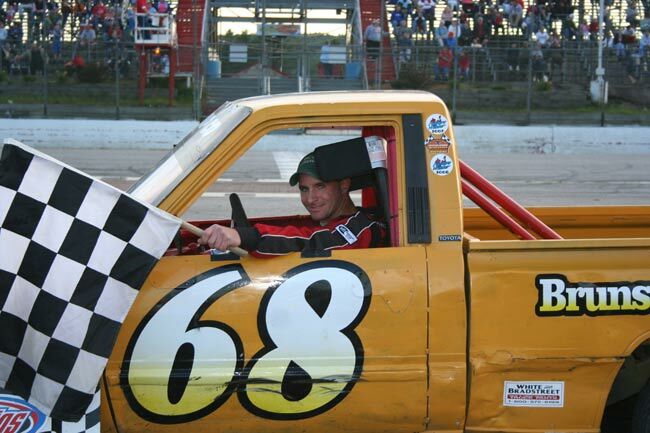 Jake Burns has successfully defended his Call of the Wild RV Center Sport Truck championship. Dottie Patria (Allen's Coffee Flavored Brandy Ladies) and Jason Hannigan (Goulet Home Inspections Renegade) sewed up the first titles of their career. 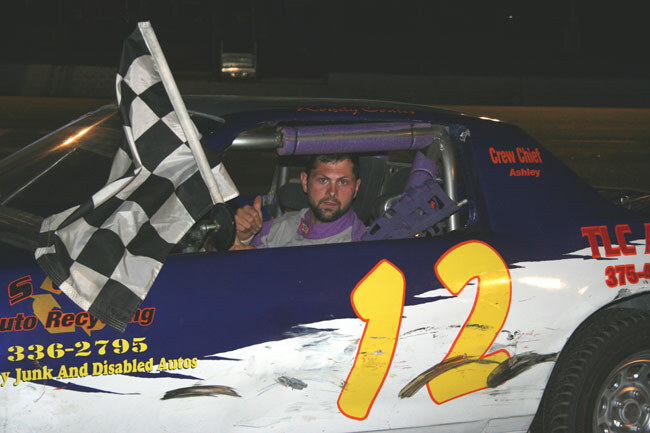 The chase in Chimney Tech Outlaw and Macdonald Motors Runnin' Rebels will go down to the wire, with multiple drivers in contention for both when the checkered flag flies at 6:30 p.m. next Wednesday, August 27. The father-son tandem of David and Josh Childs maintained their scorching late-season pace. David captured his seventh Outlaw win and eighth overall at the speedway this season, while Josh extended his Rebel winning streak to an amazing four with his seventh win. Gregg Norton snapped Josh Childs' run by one spot in the high-point Rebel nightcap. Cole Flagg also picked up a Rebel checkered flag. Nik Coates notched his fifth Outlaw victory of the year between Sprague and David Childs' conquests. Opie Allard backed up his first career Truck win last week with a second straight score. 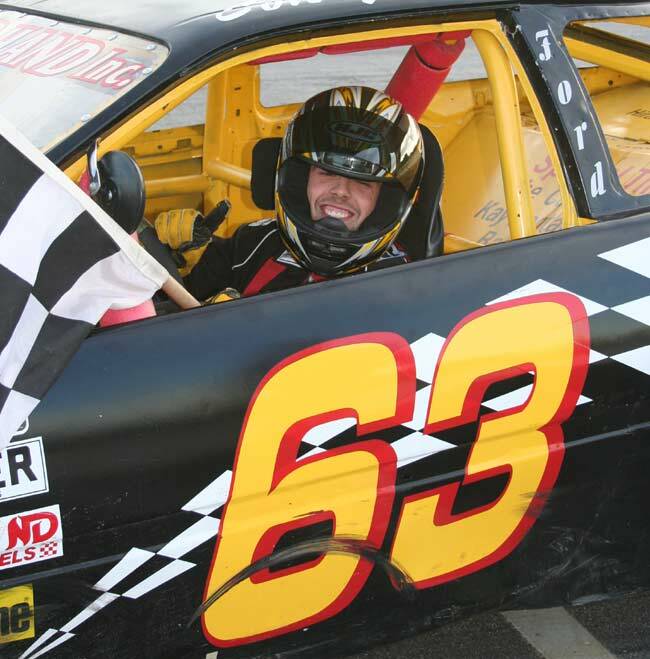 Ryan Farrar registered his first win of the campaign in the second go-round for the pickups. Vanna Brackett matched her successor as division champ, Patria, with her sixth Ladies victory of the summer. David Childs stormed to victory lane not long after watching Josh continue his stunning August surge. Thom Bell set the pace for nine laps before Childs took charge. "I had to keep up with the kid and get my seventh," Childs said. "The only way to the front is the outside unless you want to race dirty, and I'm not like that." Childs started seventh in the 19-car field. For the second week in a row, 60 Outlaws were divided into three feature events. Tyler Belanger hovered within four car lengths but couldn't erase Childs' lead in the closing stages. Jerry Goss, Bell and Bubba Collins completed the top five. Ron Abbott Jr. will enter the championship event as the point leader after crossing the stripe sixth ahead of closest rivals Addison Bowie and Jim Drake. Coates chased down Fred Clavet and completed his winning move to the outside with seven laps remaining in the 'B' Outlaw feature. "He raced me really clean. I've got to remember to thank him when I get to tech," Coates said. "Five wins is the best season I've ever had. Even though it's the worst points season I've ever had, I guess I can't complain." Clavet continued his skein of top-five finishes in second, followed closely by Tim Hatch. John Patria and Kevin Lawrence gave chase. Josh Childs' rally from 13th starting position in the Rebel 'A' makeup ended with a lap 10 pass of Derek Cook for the lead. "I got through a couple of wrecks where I don't know how I did it," said the high school student, who has won an astonishing 10 times over the last 14 months. Ben Krauter hopped into dad Martin's #82, started next-to-last and wound up second. 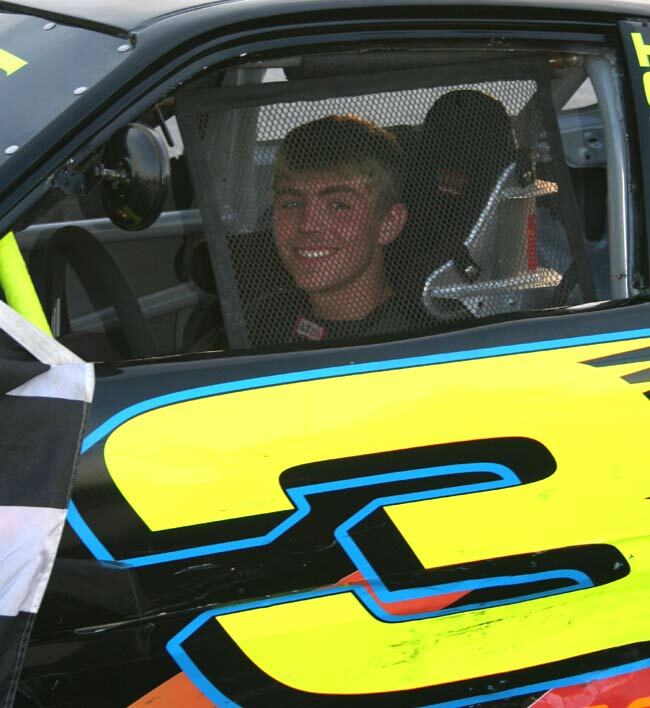 Troy Jordan was third, followed by Kyle Hewins in a ride borrowed from Doug Degroat due to his own transmission troubles. Archie Watt Jr. rounded out the lead quintet. Cook's disqualification in the Rebel finale meant that the driver with the most wins in series history officially ended the current hottest driver's winning streak. 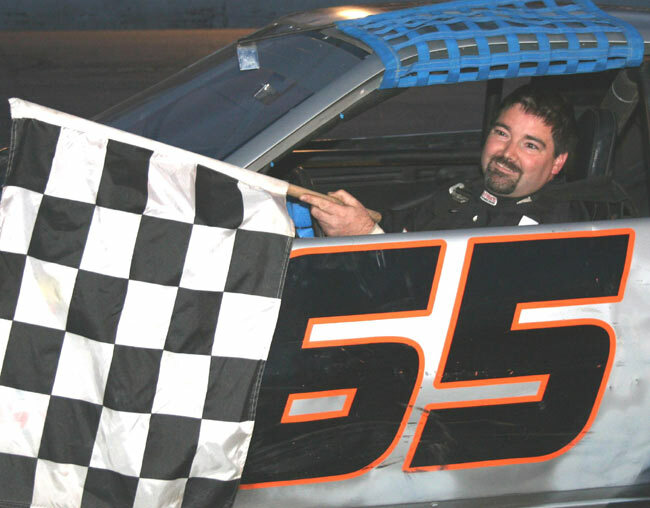 Gregg Norton picked up his third victory of the season and 22nd overall. Childs, Hewins, Jamie Leavitt and Watt were next in line. Childs unofficially leads Norton by two points and Hewins by 12 entering next week's pivotal event. It would be the first OPS full-season championship for any of the three drivers. Flagg landed the lead from Bob Danforth in the Rebel opener and breezed to the second win of his career. "We've done nothing but fight the car all year long," said Flagg, who led the final 11 laps. "Then as soon as we got it good, we got caught up in another wreck and basically had to start over." All was well this time around for Flagg, who held off Jeff Beaule on a restart with three laps to go. Wood was third, with rookies Josh Brown and Tyler Smith in tow. Some drivers take years to notch their first win and need no time at all to quickly pick up the second. Allard, last year's Lampron Energy Rookie of the Year in Truck, showed the benefit of that confidence by making it two straight in the 20-lap opener. Farrar closed to Allard's tailgate in traffic as the white flag appeared, but Allard held him off for the second straight week. "Ryan was a lot faster than I was, but we managed to get out front first," Allard said. "I made a mistake there and almost let him underneath me." Ten-time winner Burns was third ahead of top rookie Spurling and Devon Smith. Marvin Hamilton's post-race DQ made a winner of Farrar for the first time this season. Tom Libby advanced to a career-best second, and Allard made it the first top three of the year without Burns in the mix. The champion rallied to fourth without the benefit of a caution after a lap 1 spin. however. Spurling was fifth. 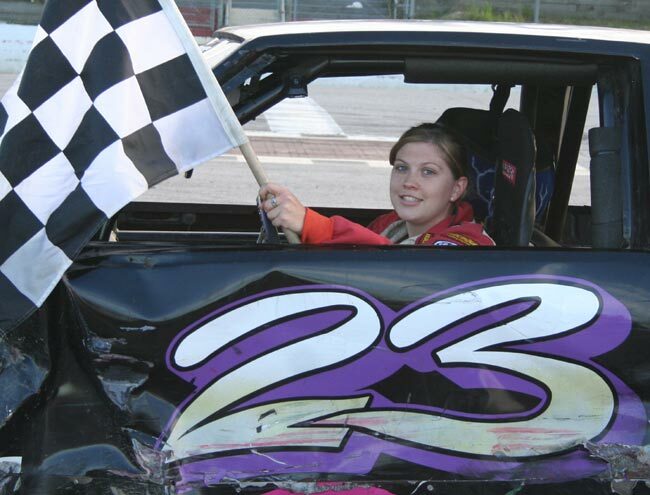 Brackett snuck past Debbie Marston on lap 9 and continued her late-season push with another Ladies win. "They were doing a little bit of wrecking around me," said Brackett. "I don't know what happened." Patria's drive to second was enough to secure the championship. Kimberly Sessions, Cathy Manchester and Marston completed the paying positions. Reigning champion Heath stopped Hannigan's three-race Renegade winning streak with his fifth win -- 18th in the last two seasons. "With any luck, we'll be moving up to Outlaw next year if my wife will let me," Heath said. Phil Knowlton's car ran afoul of the tech inspectors, putting Craig Bartlett a career-best second and Hannigan third. Mark Turner edged Gerard Cote in a tough scrap for fourth. OPS returns to action at 6:30 p.m. Saturday with Time Warner Cable/99.9 The Wolf Fan Appreciation Night. Seven divisions will compete on the card, with an autograph session, giveaways galore and $5 adult admission prices (juniors free) part of the late-summer celebration. Lap leaders: Leonard 1-3, Morgan 4-10, Sprague 11-20. Time of race: 10 minutes, 20 seconds. Lap leaders: Clavet 1-12, Coates 13-20. Lap leaders: T. Bell 1-9, D. Childs 10-20. Lap leaders: Danforth 1-9, Flagg 10-20. Lap leaders: John Childs 1-9, Josh Childs 10-20. Time of race: 14 minutes, 30 seconds. Lap leaders: J. Farrington 1, Philbrick 2-6, Sprague 7-20. Lap leaders: Audet 1, Dufault 2-9, Norton 10-20. Lap leaders: Smith 1-4, Allard 5-20. Lap leaders: H. Farrar 1-2, Libby 3-5, R. Farrar 6-20. 1. (10) #23 Vanna Brackett, Buckfield; 2. Dottie Patria, Turner; 3. Kimberly Sessions, Auburn; 4. Cathy Manchester, Gray; 5. Debbie Marston, Hartford; 6. Lisa Brooks, Auburn; 7. Missy Blash, Oxford; 8. Lisa Vining, Turner; 9. Shannon Wheeler, Auburn; 10. Sue Veinott, Sabattus; 11. Kristen Brown, Gray; 12. Annie Chartier, Mexico. GOULET HOME INSPECTIONS RENEGADE (20 laps): 1. Jamie Heath, Waterford; 2. Craig Bartlett, Waterford; 3. Jason Hannigan, Greene; 4. Mark Turner, Norway; 5. Gerard Cote, Oxford; 6. Joe Morey, Lisbon; 7. Robert Lowe, Auburn; 8. Dan Ellis, Brunswick. DQ: Phil Knowlton, Poland.